Advent calendars are great family tradition that helps to build the anticipation for Christmas. Enjoy a slice of Americana with this lovely folk art. 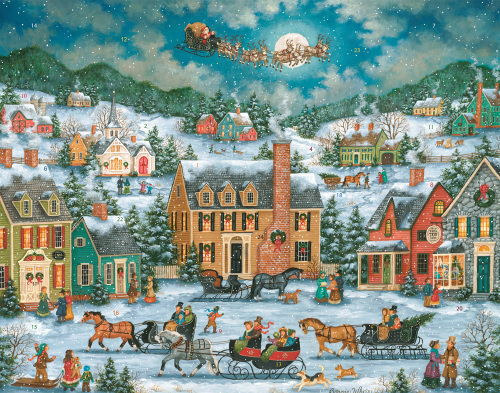 Count down to Christmas by opening a window each day during Advent to reveal a special holiday picture. The front is accentuated with glitter. A great way to build the anticipation for Christmas! his Advent calendar measures 14" x 11". Easy to hang or display anywhere! Artwork by Bonnie White.